What forms can the concerto adopt today? The Belgian composer Benoît Mernier provides an answer to that question with these three works, receiving their world premiere recordings. A memorial to the soldiers who died at the front in World War I, his Concerto for violin and orchestra is, quite simply, a masterpiece, here performed fearlessly and brilliantly by its dedicatee, Lorenzo Gatto (a prizewinner at the Queen Elisabeth Competition in Brussels in 2009) and the National Orchestra of Belgium. If the poetry of Guillaume Apollinaire provided the inspiration for the piece, Mernier also draws on the letters of ordinary soldiers, whose eloquence survived the horror of the trenches. The next work is Vi(v)a!, a lively and good-humoured orchestral overture, written to celebrate the 50th anniversary of the Liège Royal Philharmonic. The programme is rounded off with the refined pianism of David Lively, in partnership with the National Orchestra of Montpellier Languedoc-Roussillon, in a concertante-style work that bursts with the breath of life of improvised music. 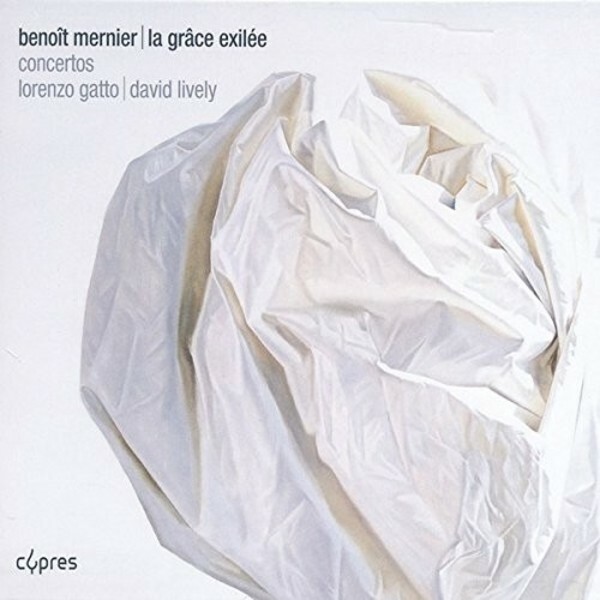 ‘La grâce exilée’ (Grace in exile), the title of one of Apollinaire’s war poems, can be understood to provide a linking theme for the composer, the soloists, the music directors and the orchestras are all internationally renowned.